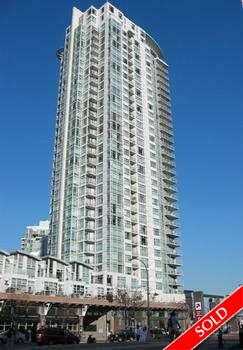 Description: Gorgeous water views from this oversized 1 bdrm & den 769 sq ft maintained by original owner. Loc in Aquarius I on Yaletown's waterfront in the prestigious Marinaside Crescent neighbourhood. This corner unit has maple hardwood flrs,a useful open balcony, in-suite storage & a cozy gas F/P. Highend restaurants, Urban Fare & Starbucks are just a few steps away. 24 hour concierge. Building has outstanding facilities. Including the Aquaruis Fitness Club.